Xymax has been the real estate manager for more than 30 years since 1982. Our services are provided to a variety of properties including office, retail, hotel and logistics buildings. The strategic services, which we provide based on rich data, are regarded highly in the real estate market in Japan. With our employees and companies, we have all the real estate services you need. We are capable of serving our clients' needs in various situations – real estate valuation and appraisal, leasing and brokerage services, construction planning, effective use of real estate, and more. 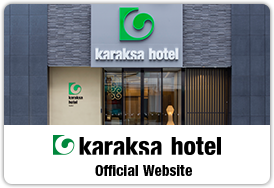 Xymax started a new hotel brand "karaksa hotel" in 2016. Our hotels, targeting guests from abroad, have hotel-owned busses and multilingual staff. They are designed for a comfortable stay of international travelers. We will continue to serve people visiting Japan by collaborating with Southeast Asian conglomerates. Over the years, Xymax made efforts in building relationship with partner companies in Asia. Now it's time to use our partnership to expand our real estate and hotel business into the Asian markets.